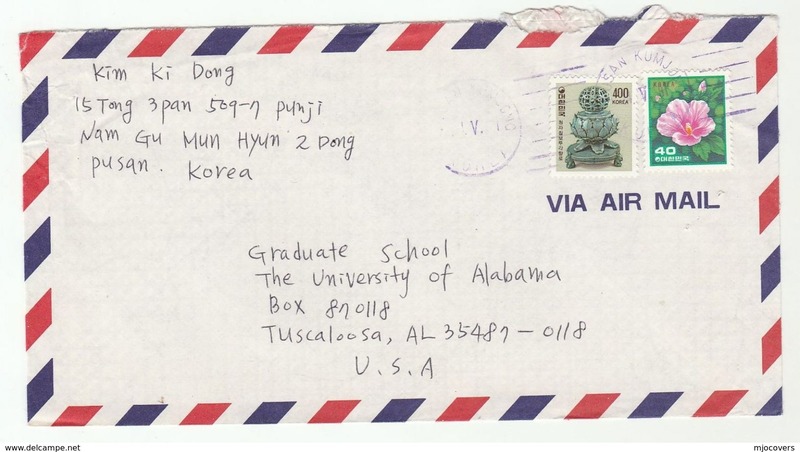 M168- Korea 2002. 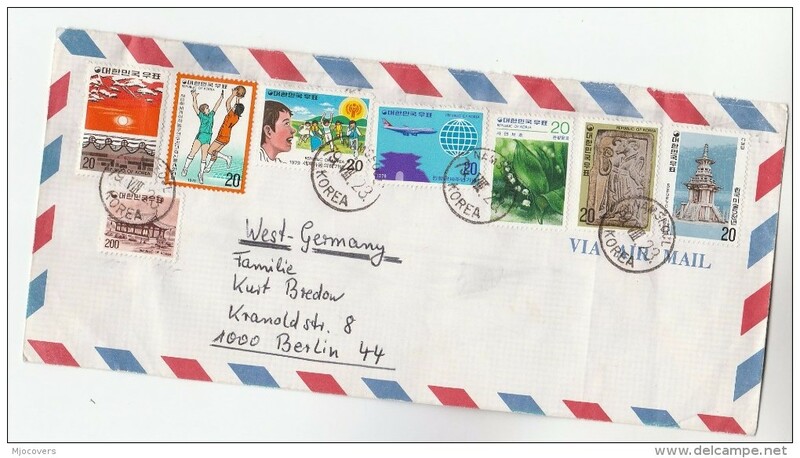 Train, Railway, Trein, Eisenbahn. 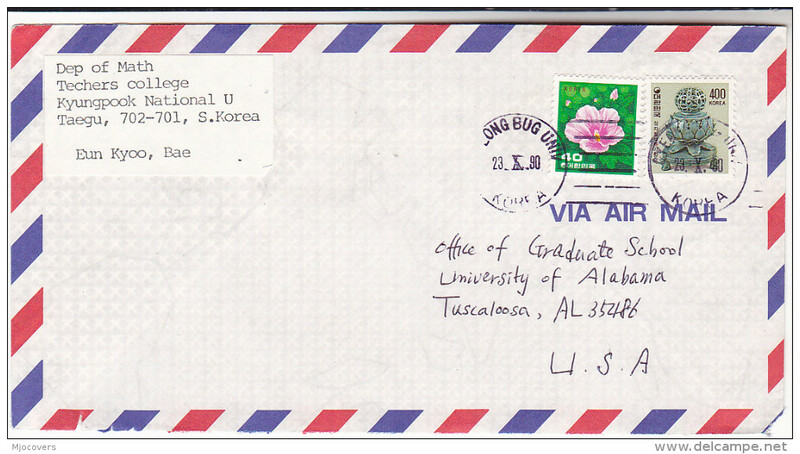 M113- Korea 2017. 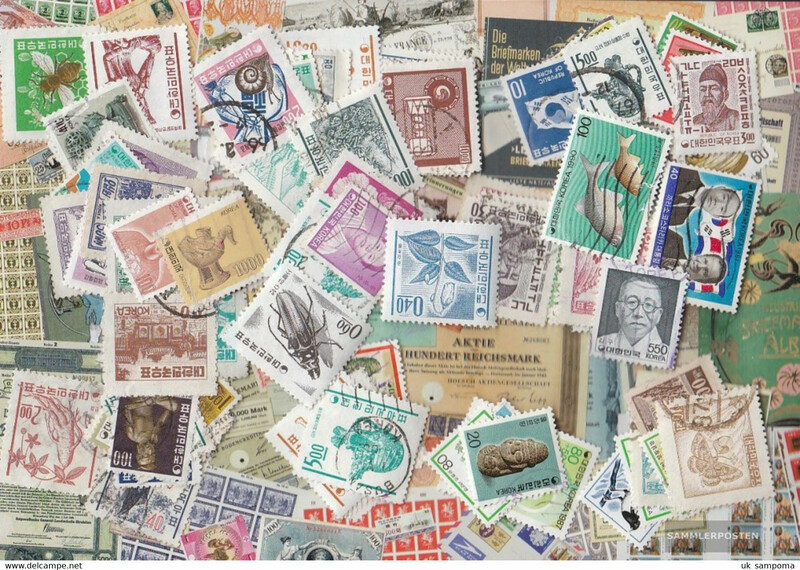 Handicrafts Culture heritage. 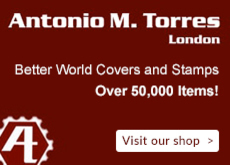 Craftmenship. 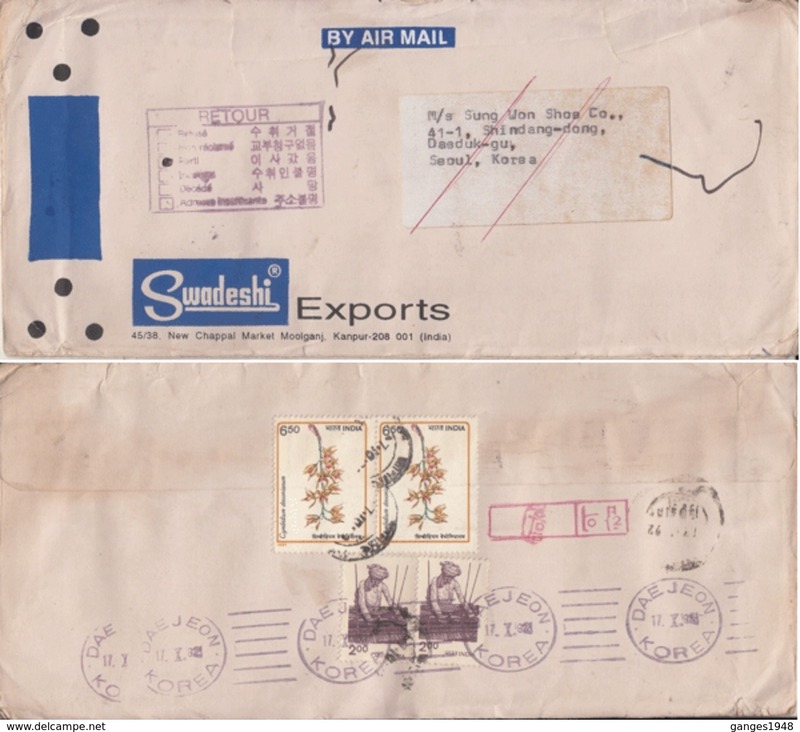 Handicrafts. 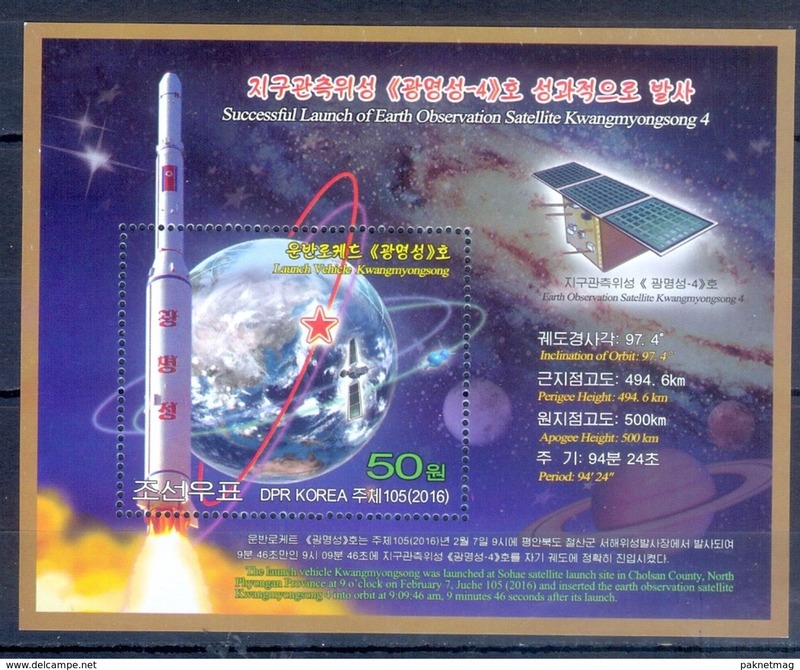 M105- Korea in 2016 successfully launched to Earth observation satellite. 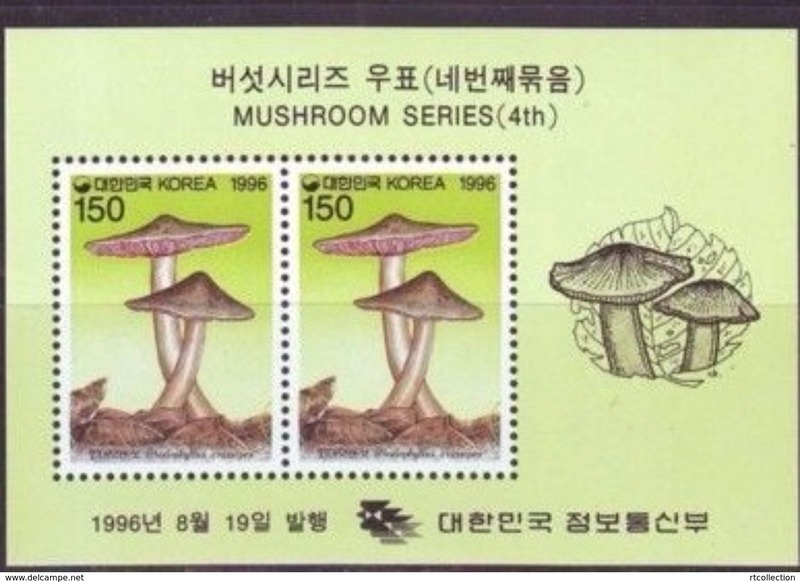 South Korea 1995 Cranes and Pine trees souvenir sheet unmounted mint. 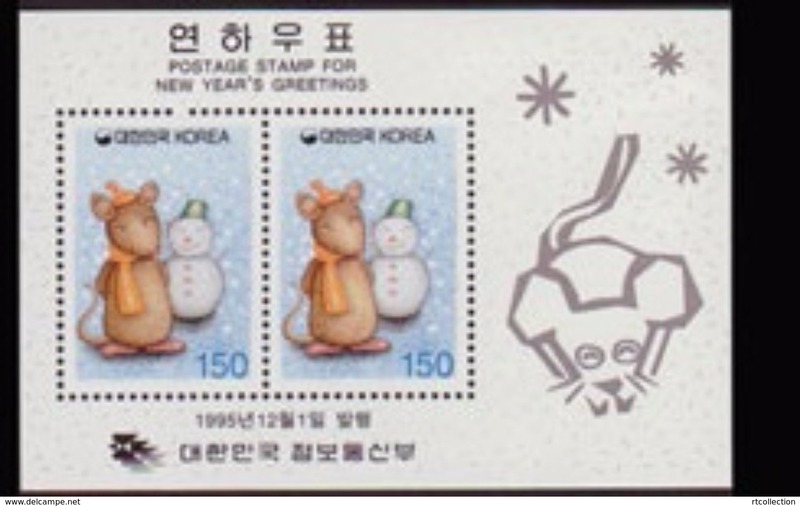 South Korea 1999 Protection of Wildlife sheetlet unmounted mint. 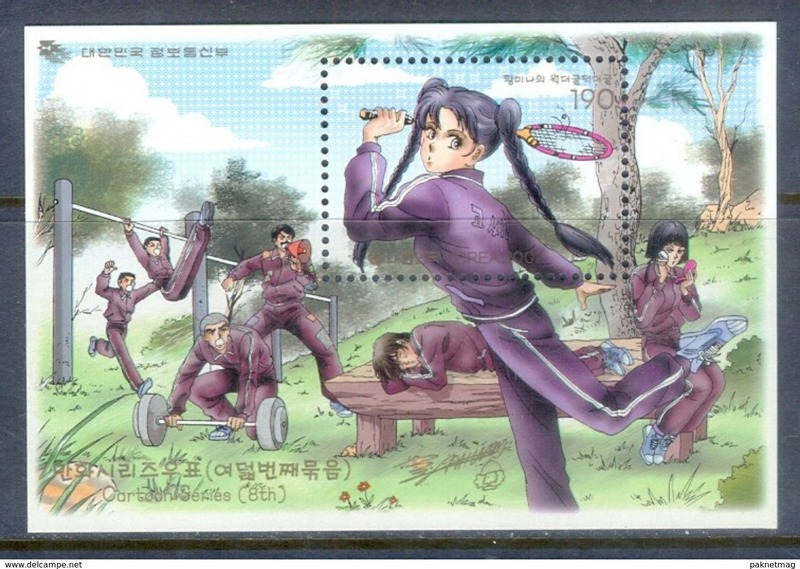 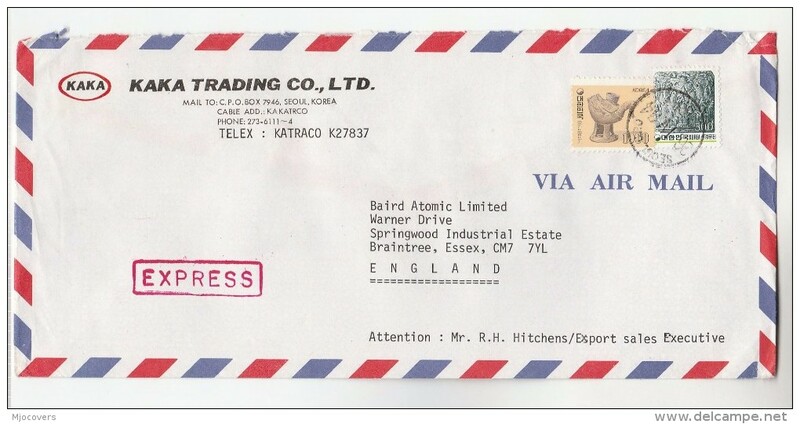 South Korea 2006 Baengnyeongdo Island sheetlet unmounted mint. 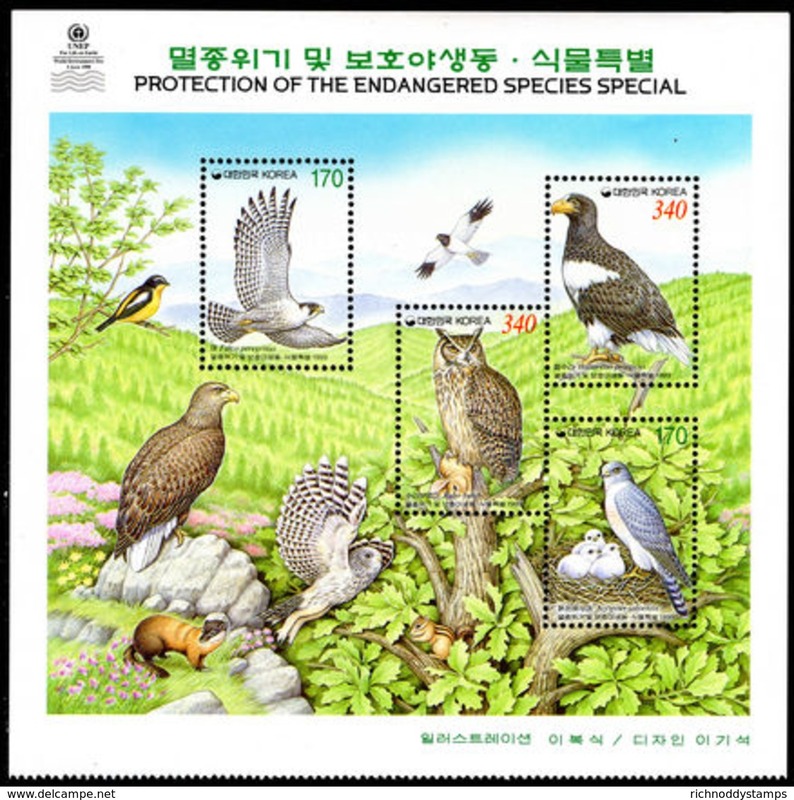 South Korea 2000 Protection of Wildlife sheetlet unmounted mint. 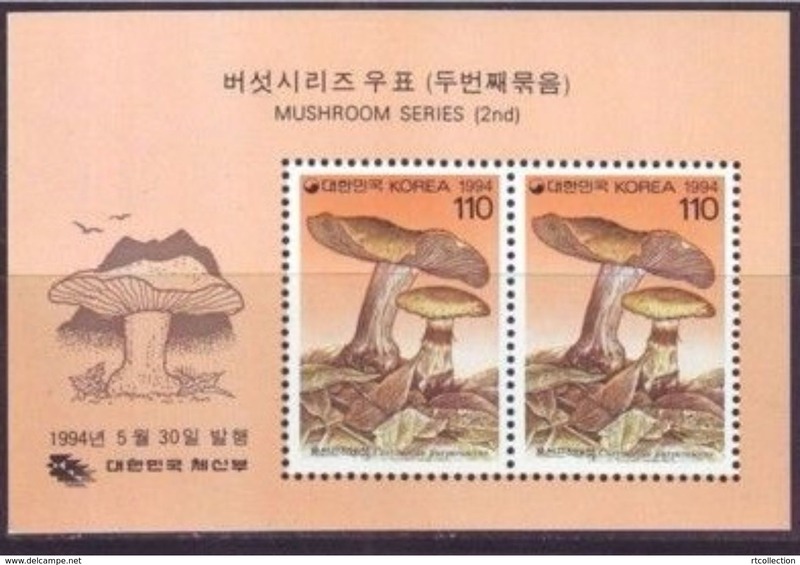 South Korea 1965 ITU souvenir sheet unmounted mint. 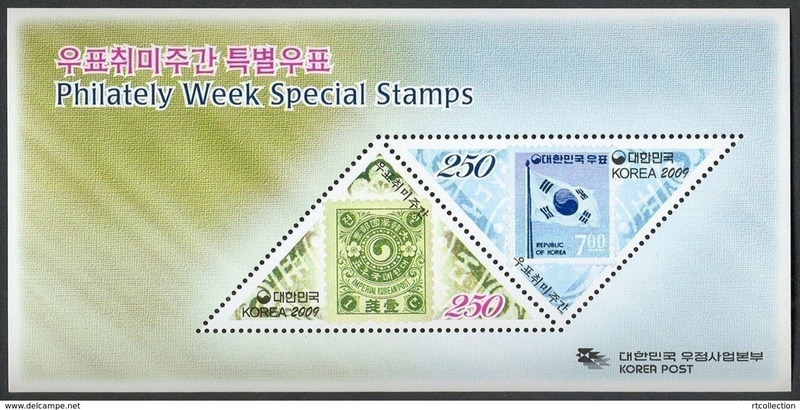 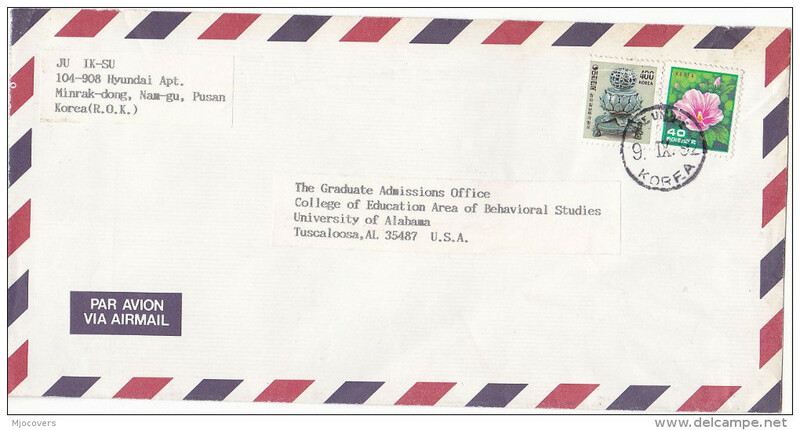 South Korea 1967 Telcommunications Union souvenir sheet unmounted mint. 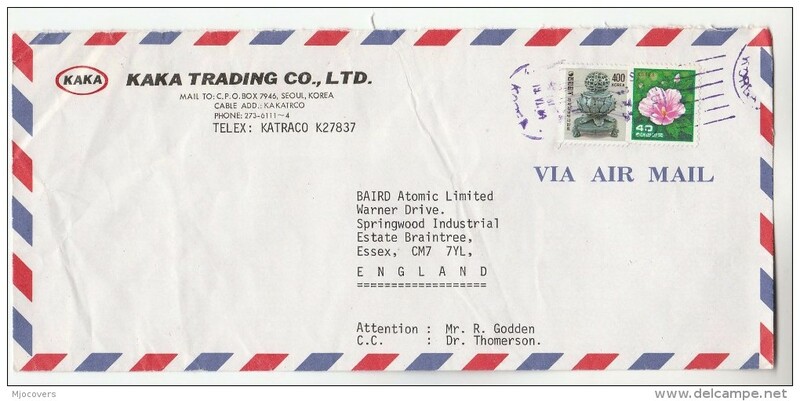 South Korea 1967 Telcommunications Union unmounted mint. 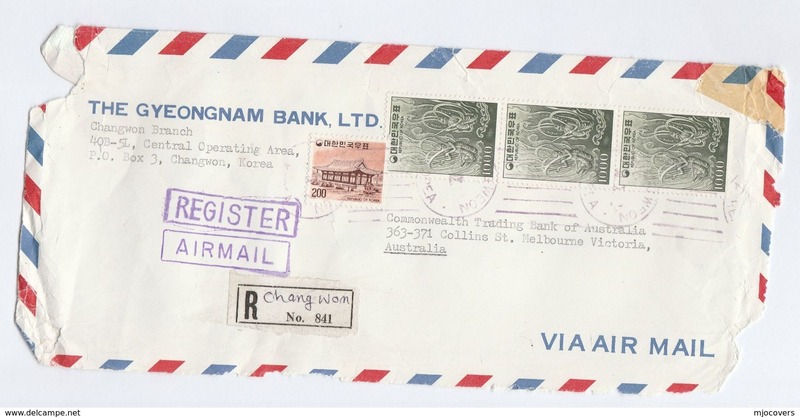 South Korea 1959 Red Cross souvenir sheet unmounted mint. 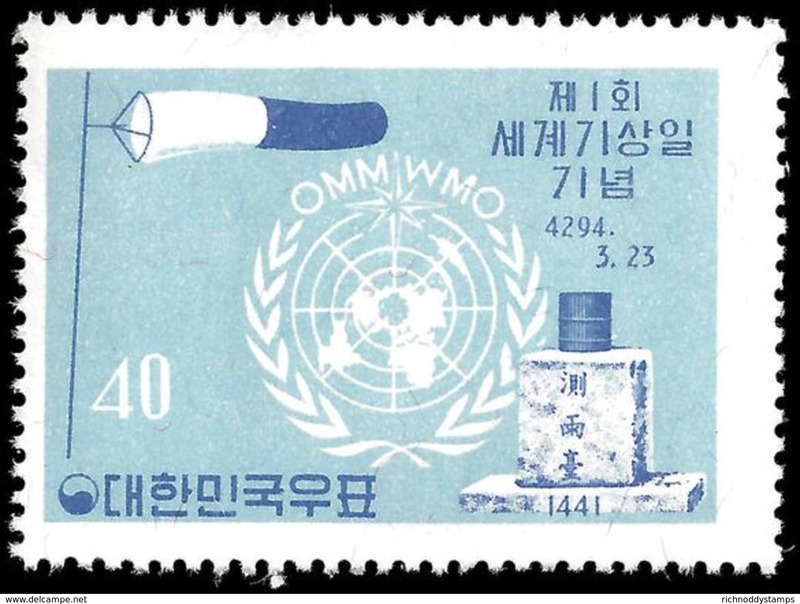 South Korea 1959 Red Cross unmounted mint. 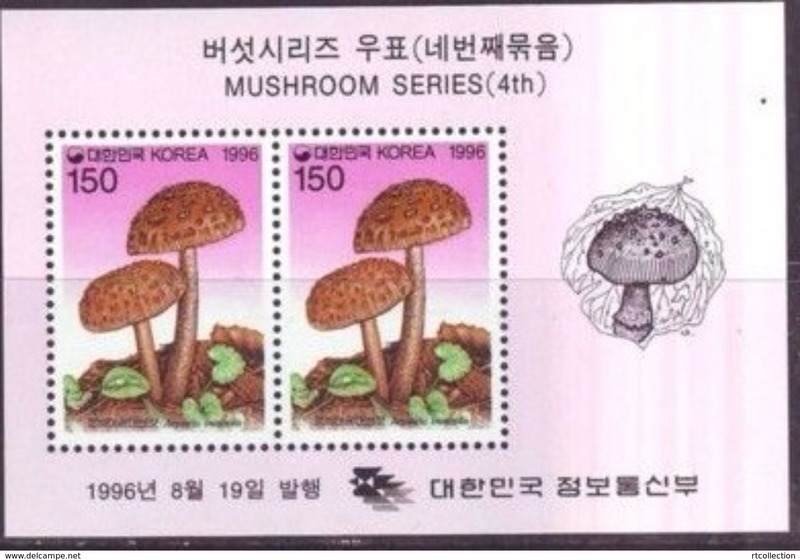 South Korea 1974 Fruits 3rd issue souvenir sheet unmounted mint. 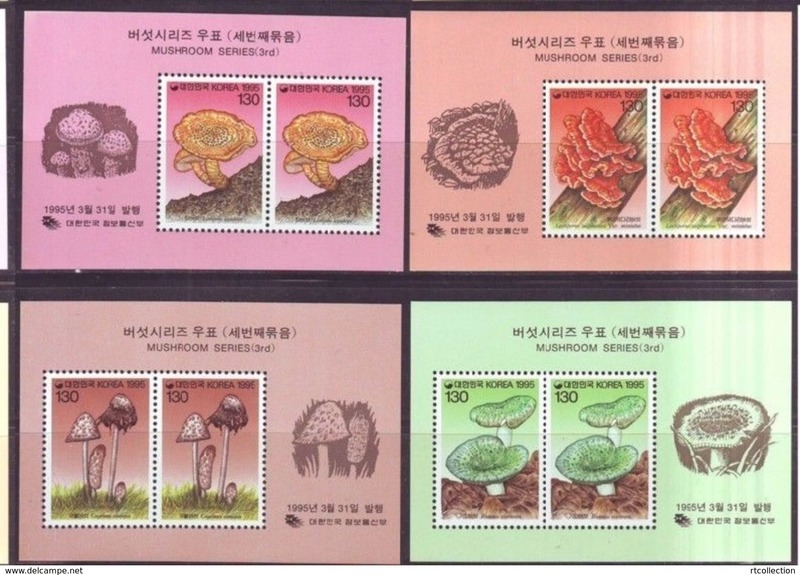 South Korea 1974 Fruits 2nd issue souvenir sheet unmounted mint. 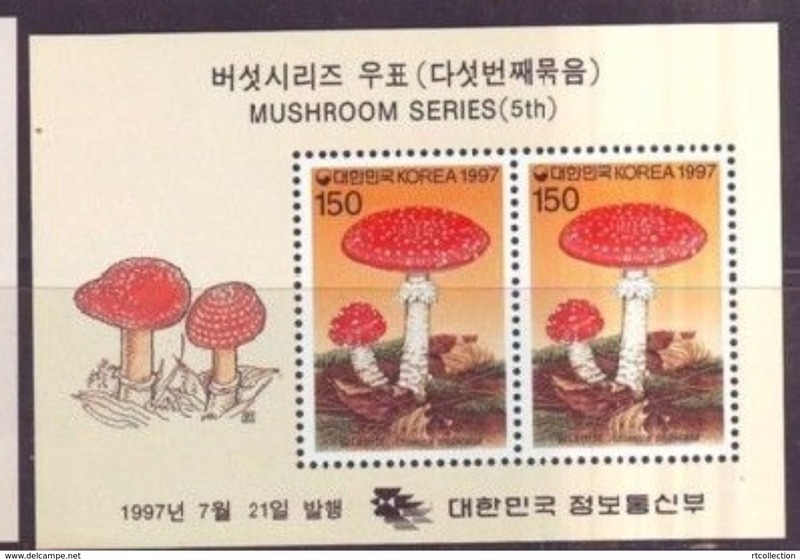 South Korea 1974 Fruits 1st issue souvenir sheet unmounted mint. 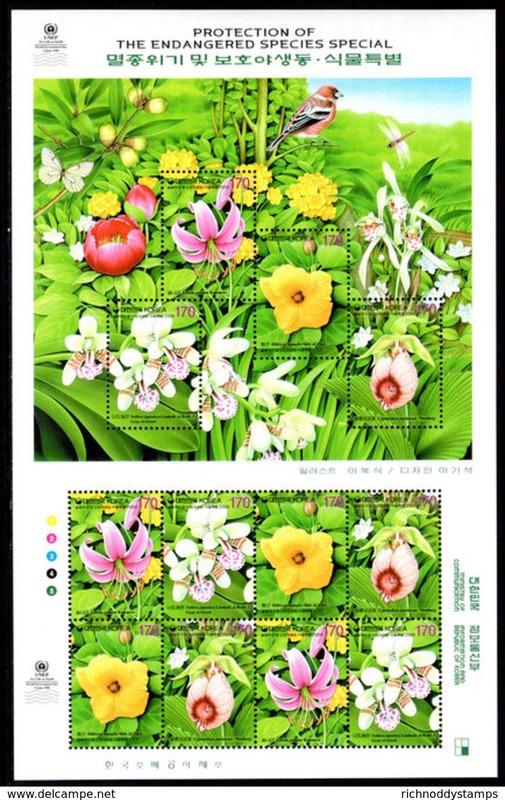 South Korea 1966 Korean Plants souvenir sheet unmounted mint. 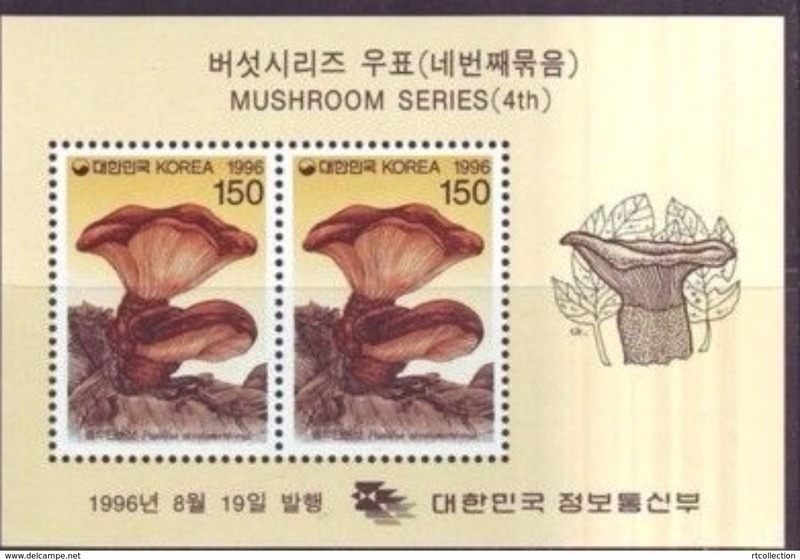 South Korea 1966 Korean Plants unmounted mint. 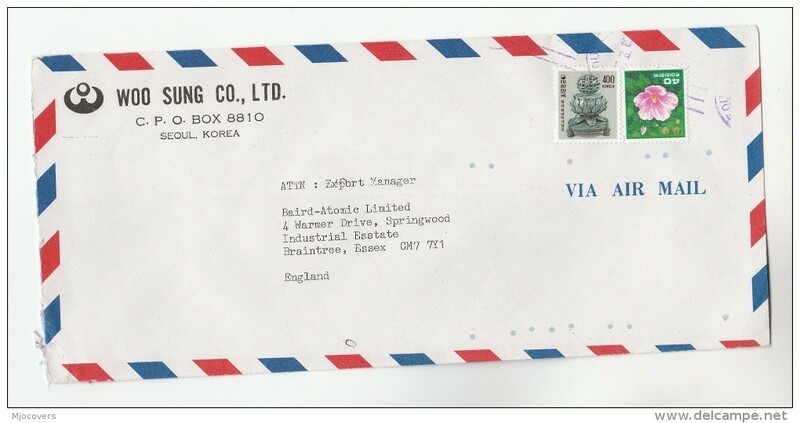 South Korea 1958 Hibiscus unmounted mint. 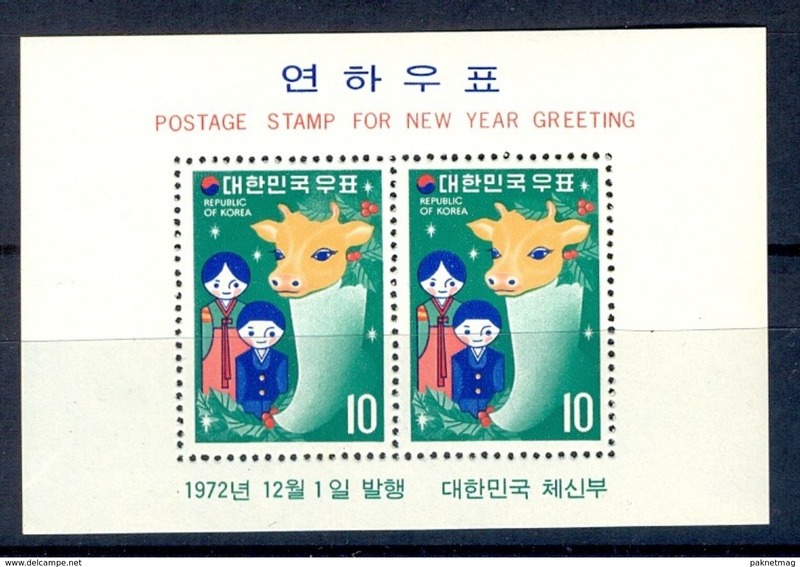 South Korea 1972 Year of the Ox souvenir sheets unmounted mint. 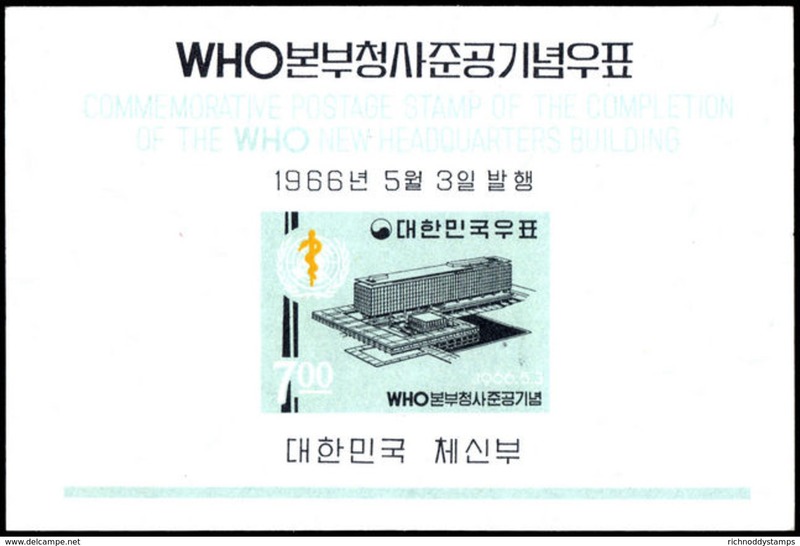 South Korea 1972 Red Cross unmounted mint. 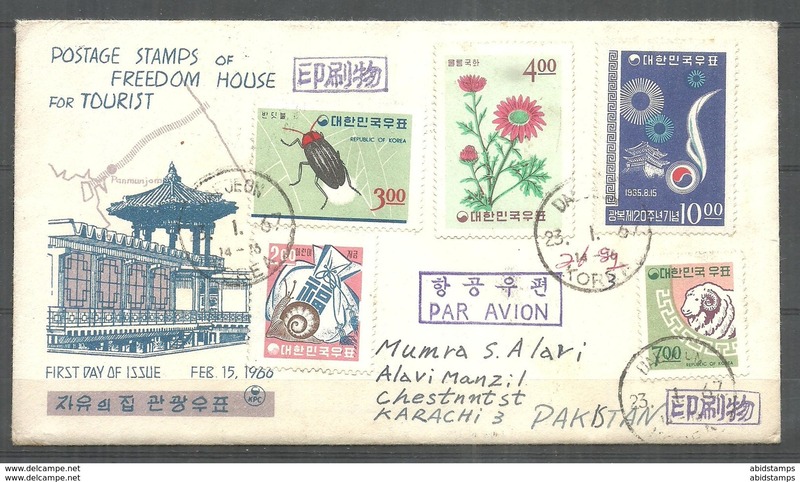 South Korea 1966 Birds souvenir sheets unmounted mint. 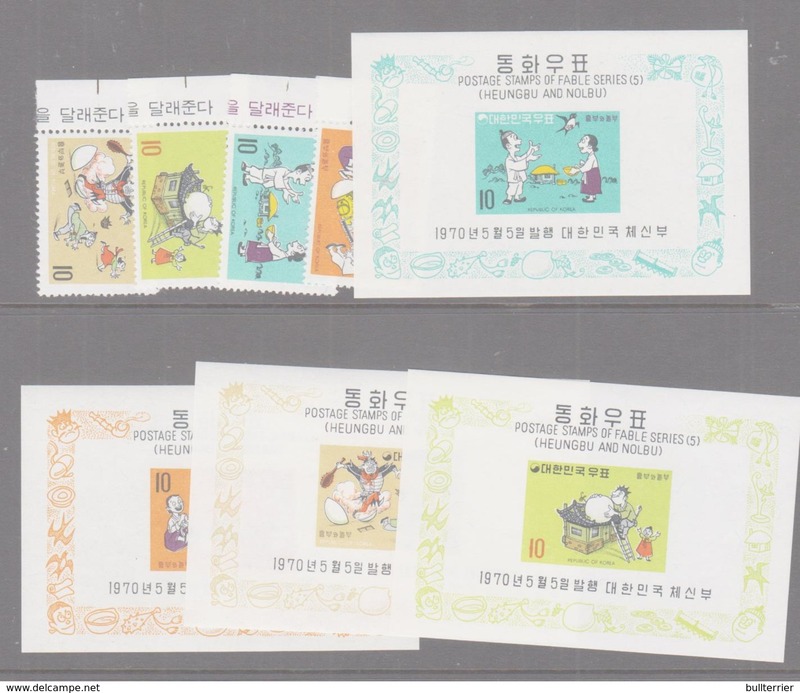 South Korea 1966 Badger Bear Tiger souvenir sheet set unmounted mint. 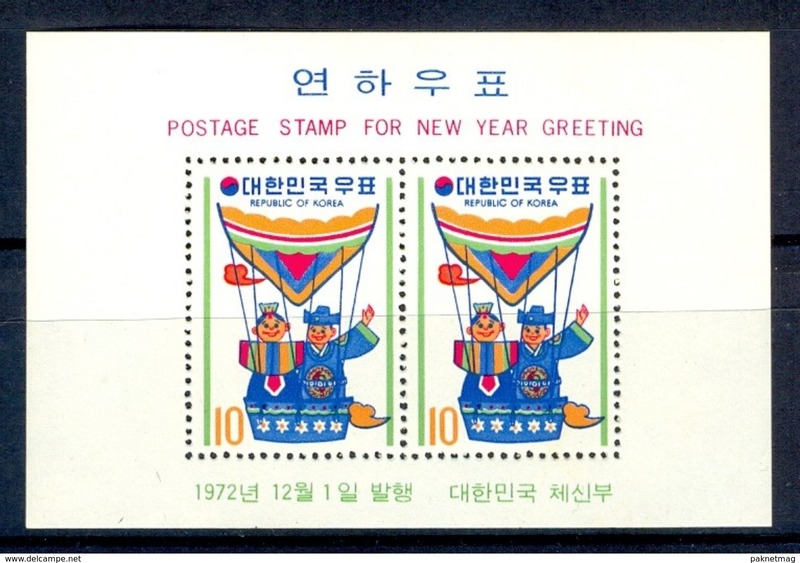 South Korea 1964 Tokyo Olympics souvenir sheet unmounted mint. 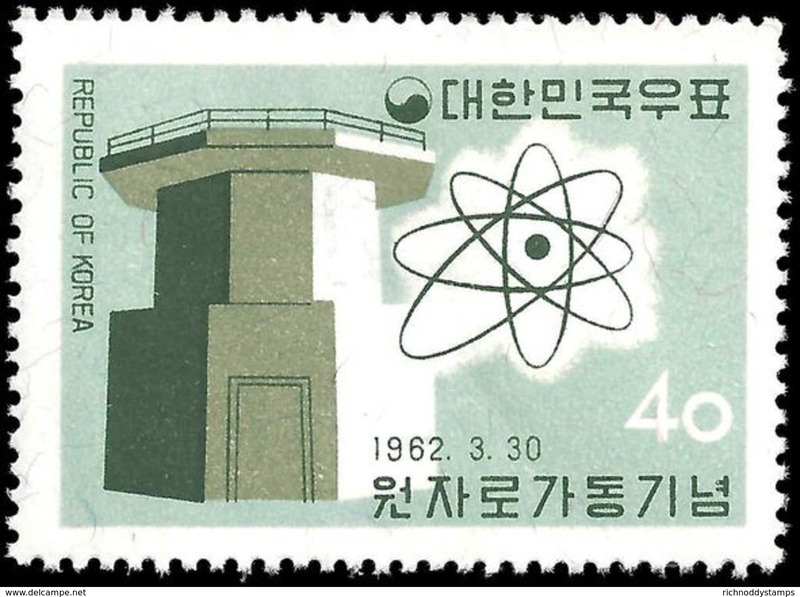 South Korea 1962 First Korean Nuclear Reactor unmounted mint. 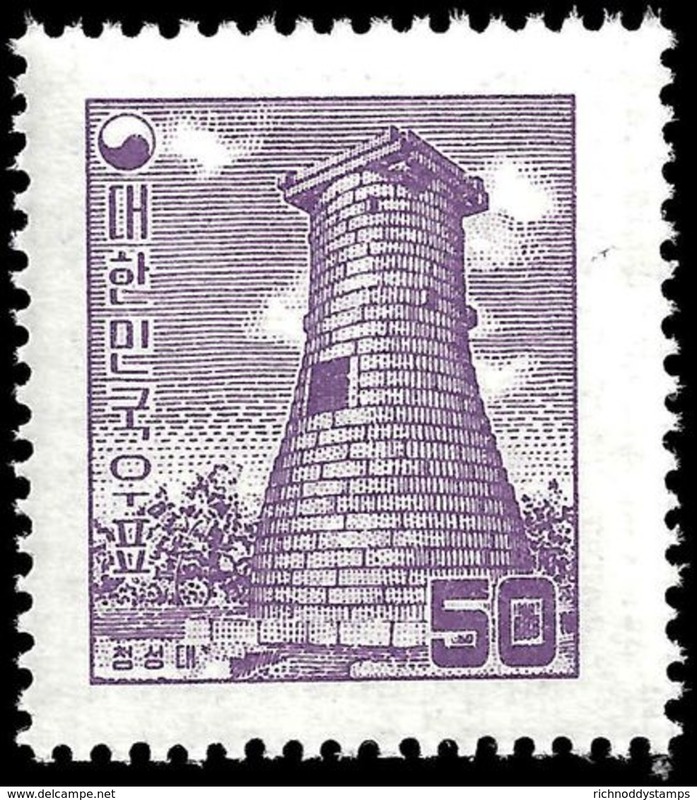 South Korea 1961 Meterological Day unmounted mint. 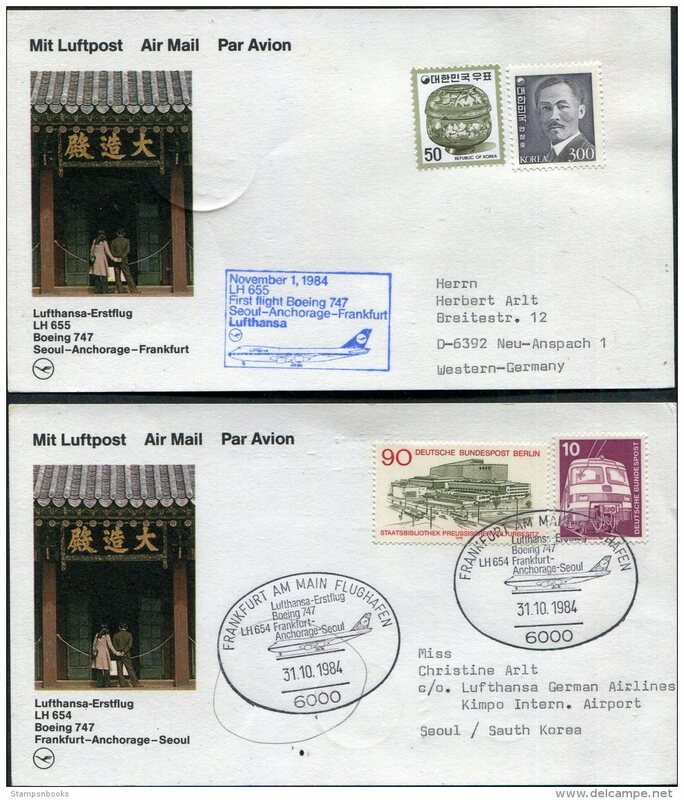 South Korea 1957 50h Kyongju Observatory no wmk unmounted mint. 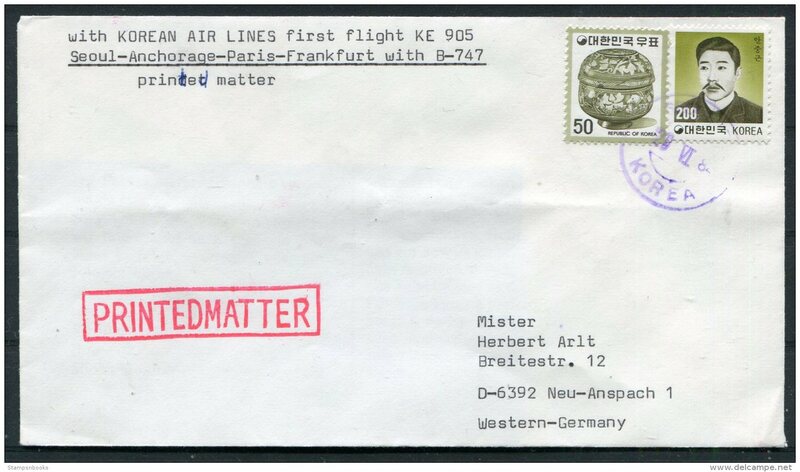 South Korea 1957 100h Kyongju Observatory wmk wavy lines unmounted mint. 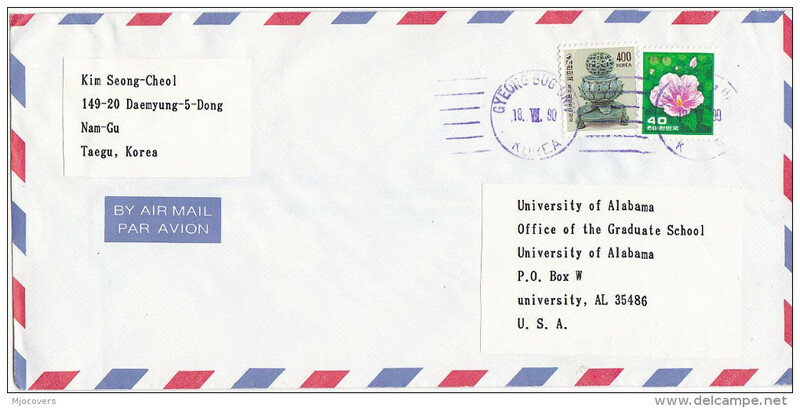 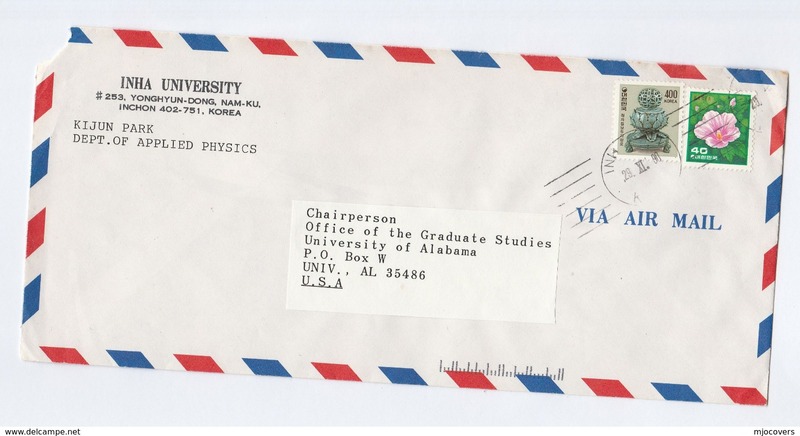 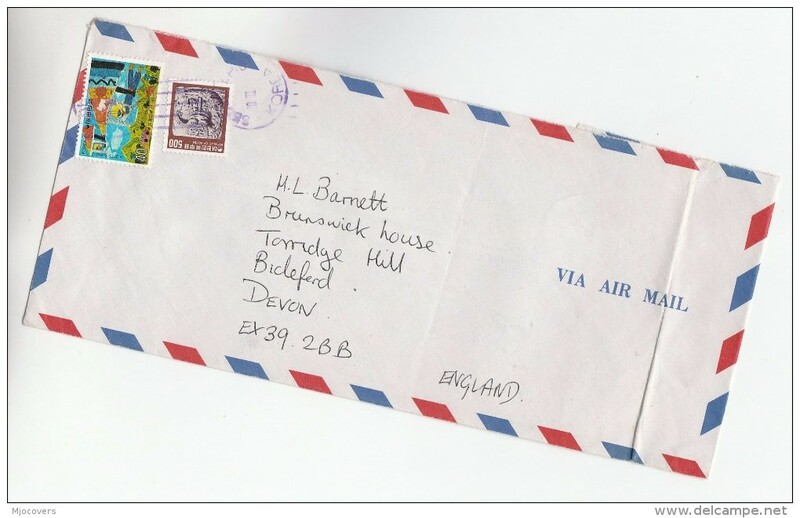 South Korea 1957 100h Kyongju Observatory wmk 122 (symbol) unmounted mint. 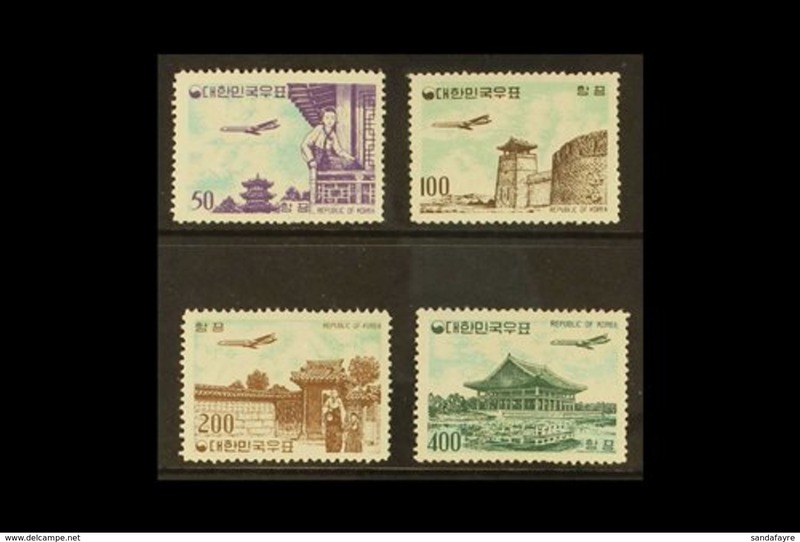 South Korea 1946 50ch Kyongju Observatory unmounted mint. 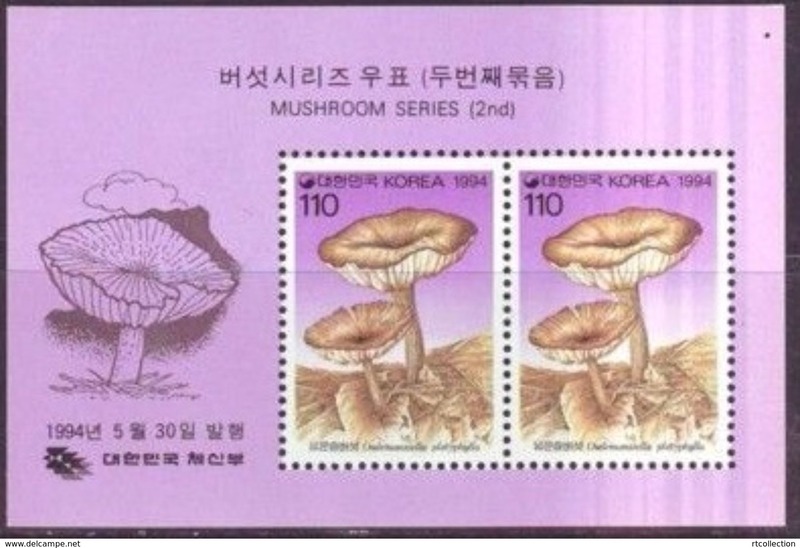 South Korea 1968 WHO souvenir sheet unmounted mint. 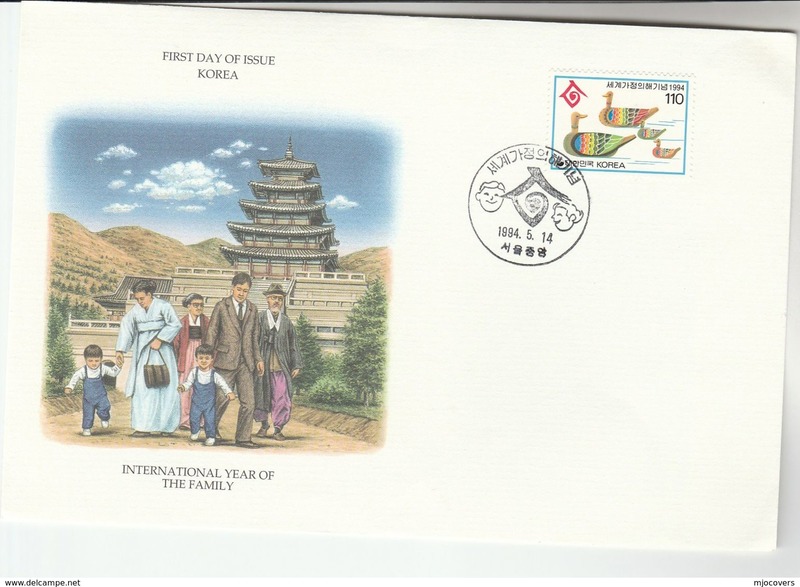 South Korea 1960 World Refugee Year souvenir sheet unmounted mint. 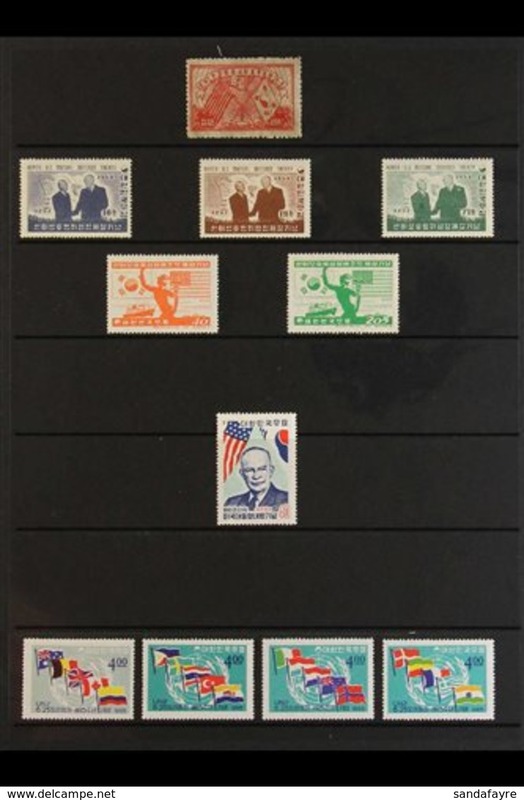 South Korea 1960 Olympics souvenir sheet unmounted mint. 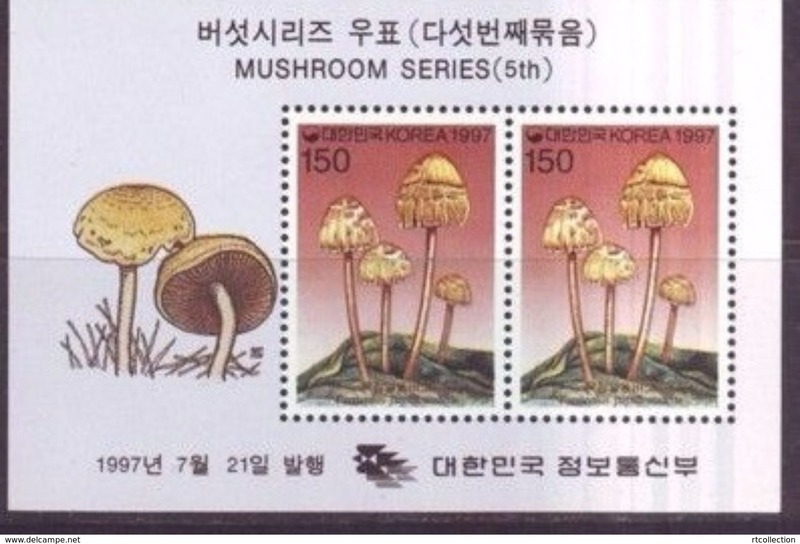 A227- South Korea - 2002 Cartoon Serices. 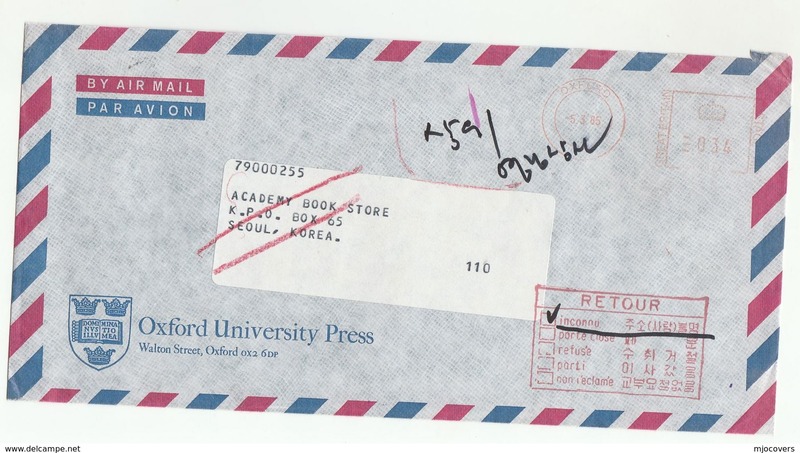 A122- South Korea 1980. 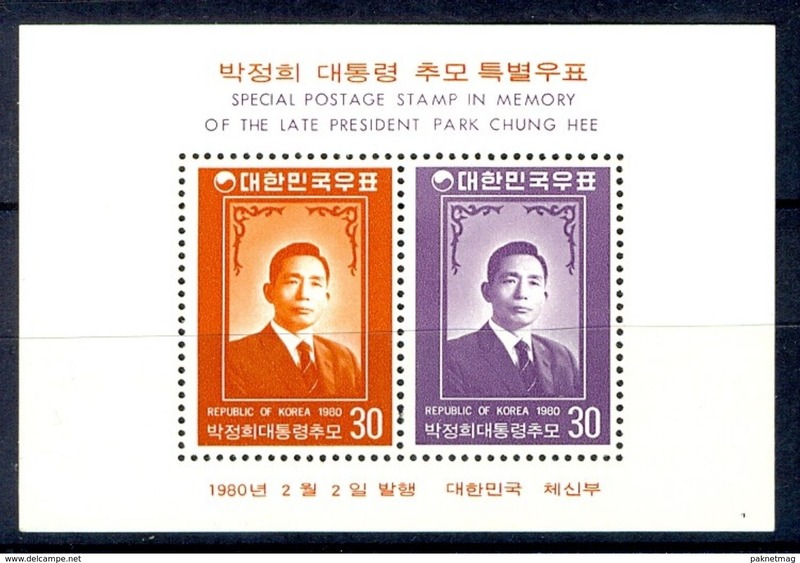 Memory of The Late President Park Chung Hee. 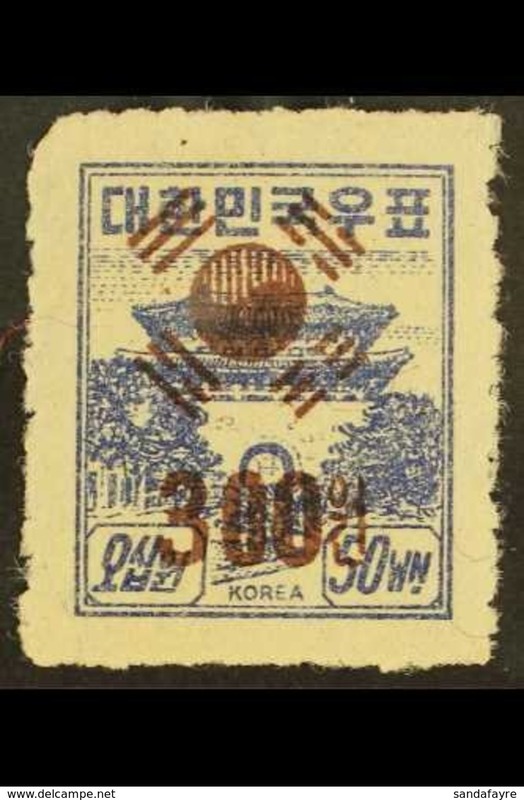 A121- South Korea 1971. 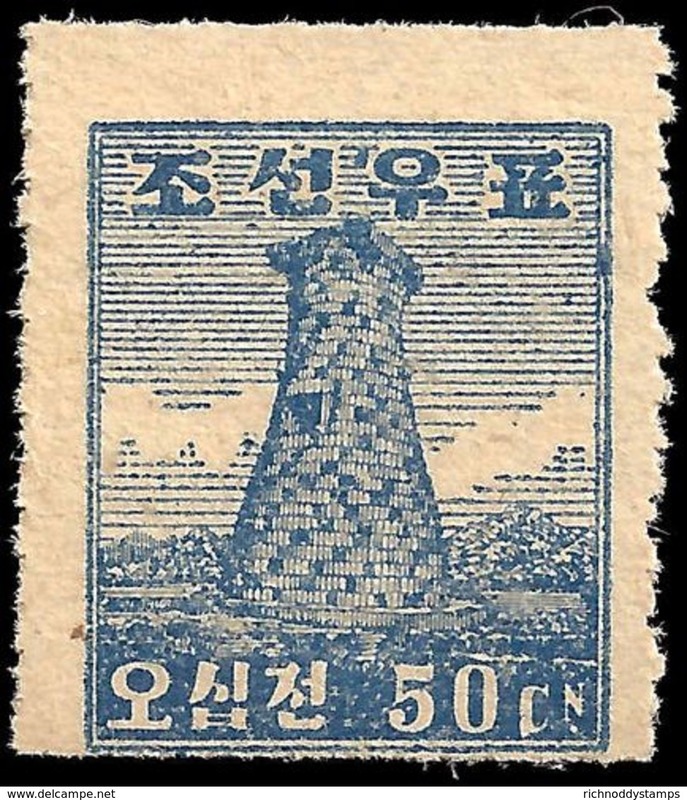 Depicting Economic Development. 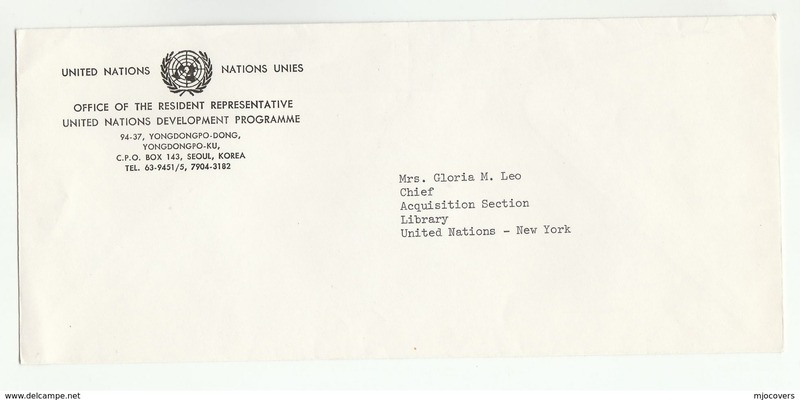 Dame. 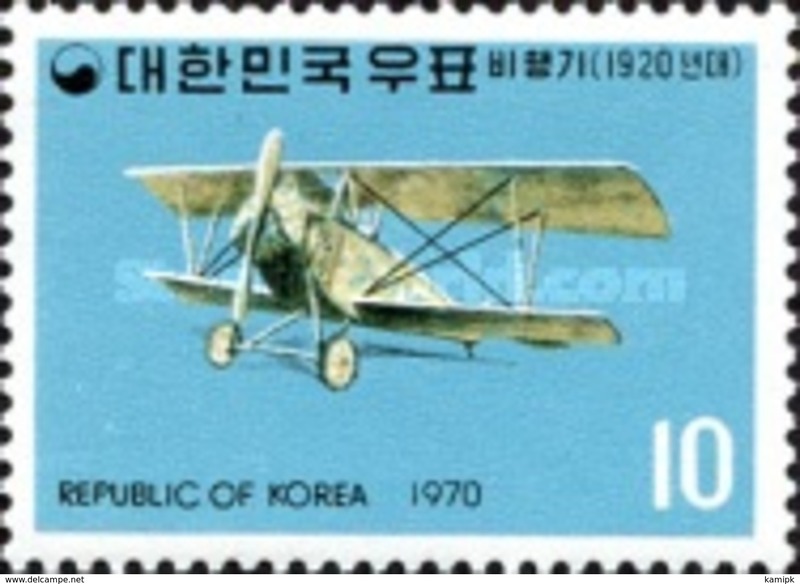 A6- South Korea 1978. 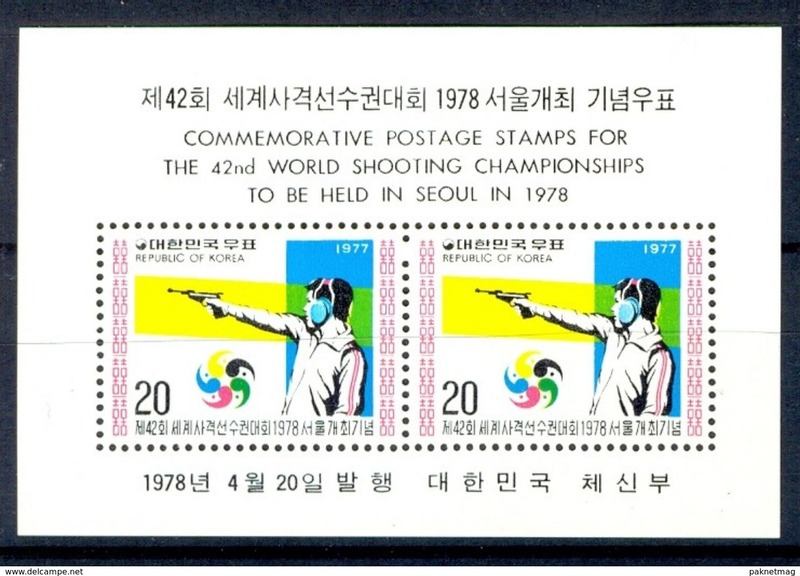 42nd World Shooting Championships to be Held in Seoul. 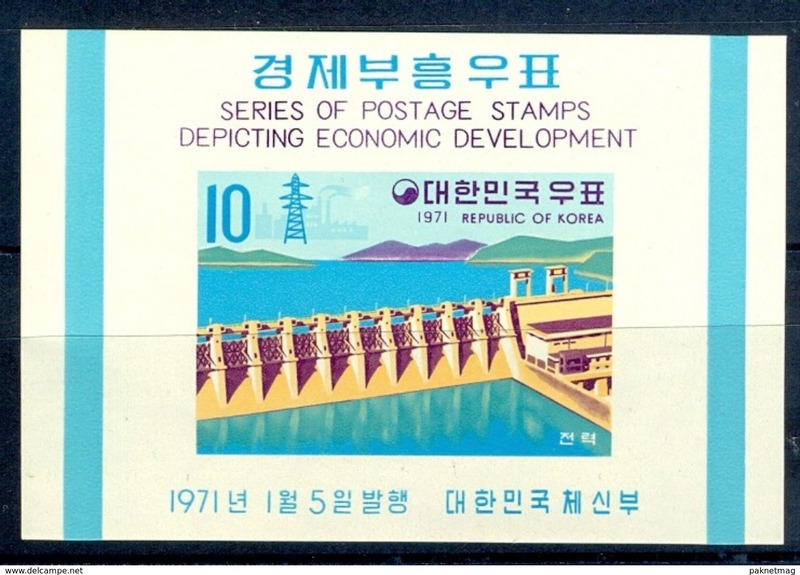 A5- South Korea 1978. 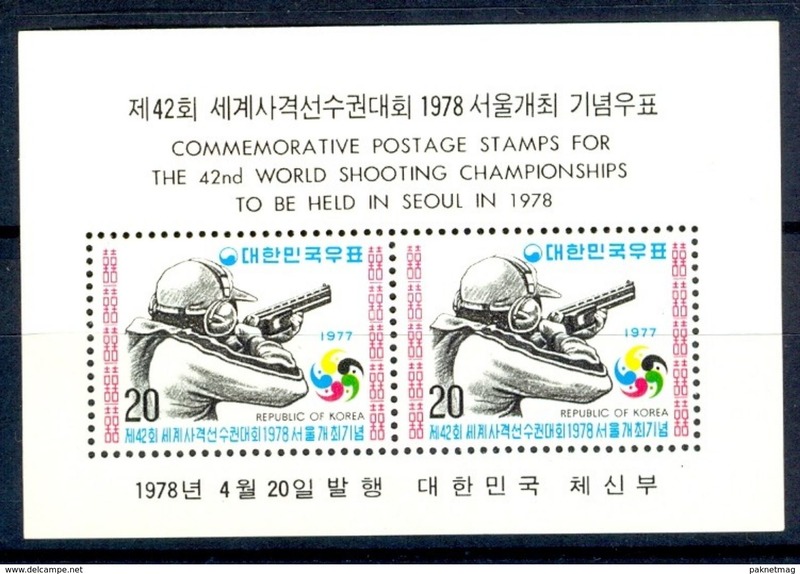 42nd World Shooting Championships to be Held in Seoul. 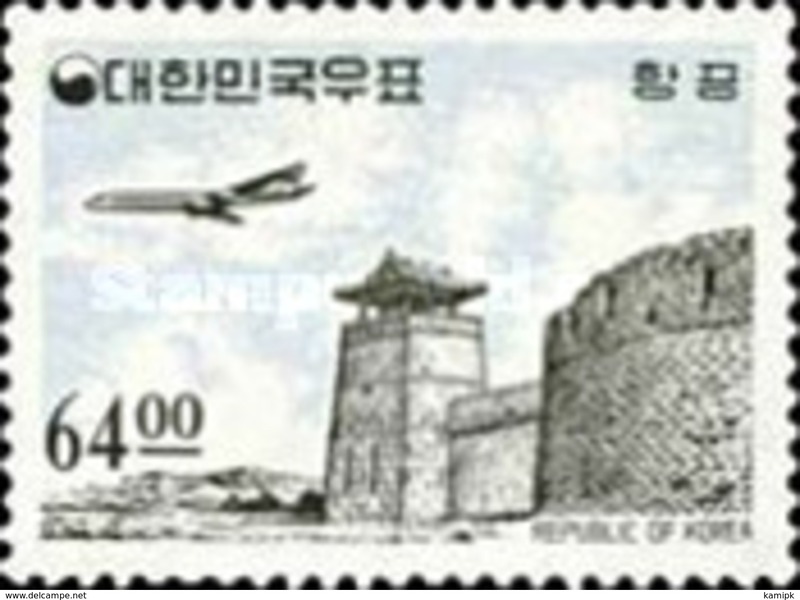 A4- South Korea 1978. 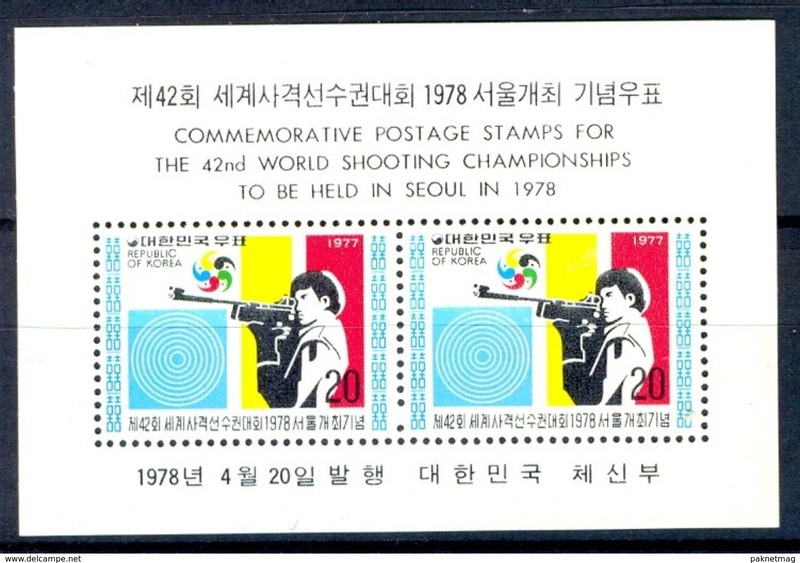 42nd World Shooting Championships to be Held in Seoul. 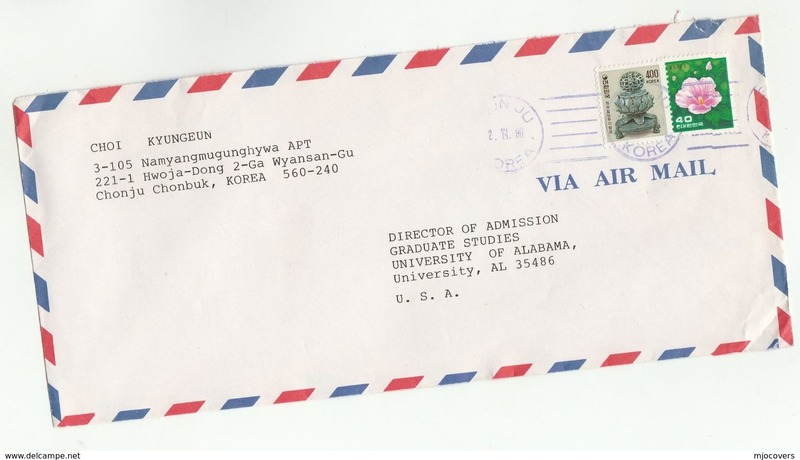 A3- South Korea 1972. 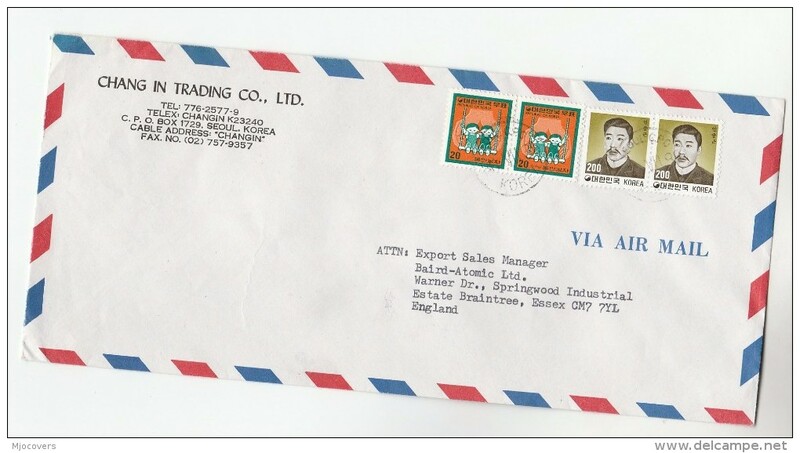 New Year Greeting. 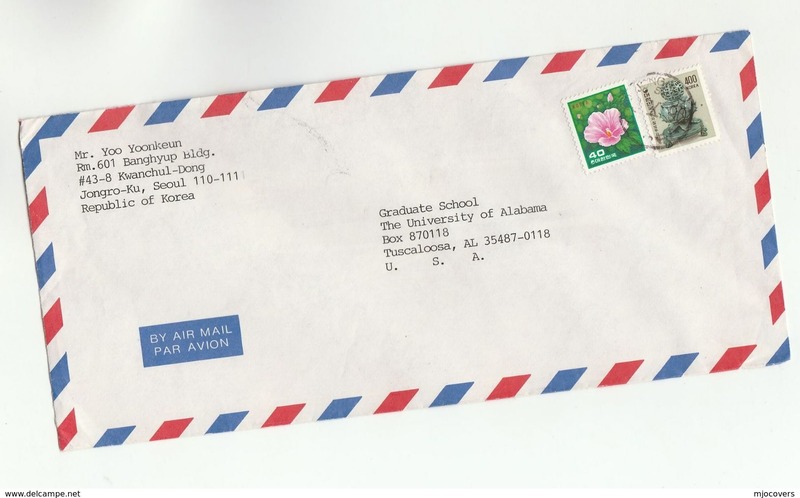 A2- South Korea 1972. 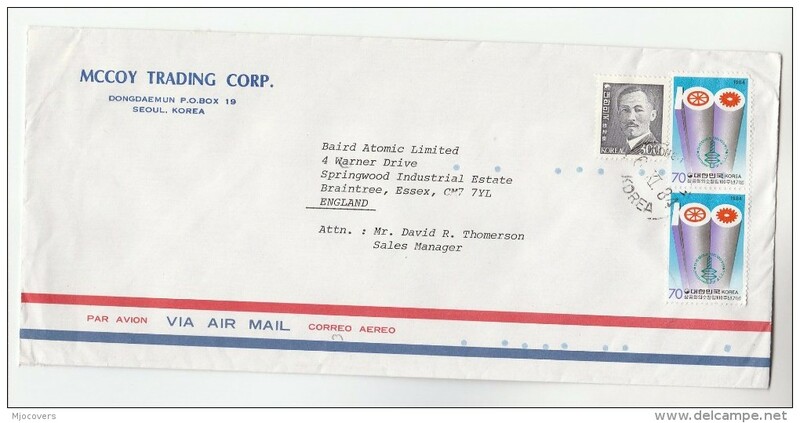 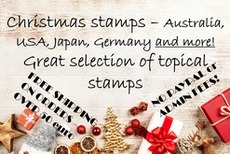 New Year Greeting.